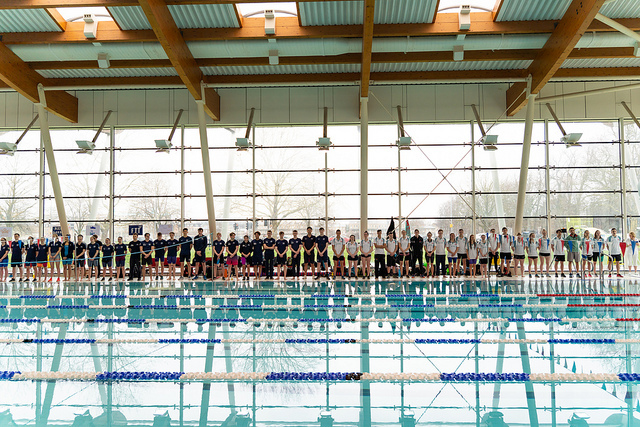 On 20th October 2018, Cambridge University Swimming Club welcomed UCL, KCL, Imperial and Leicester to Parkside Pools for the annual season-opening Relays Gala. Cambridge entered two teams, named Team Alpha and Team Aleph in honour of random alphabets worldwide. With neither team selected to be stronger than the other, the stage (pool) was set for some tight races. 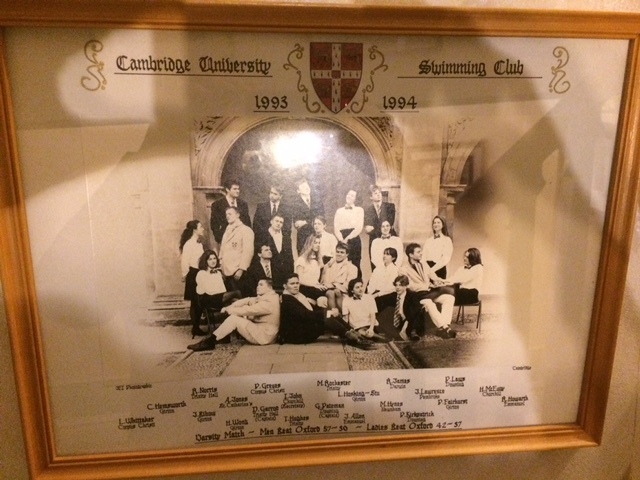 Several Cambridge newbies made their debuts in light blue – on the male side Joe Anderson, Jacques Bonsell, Theo Cannon and Segev Gonen Cohen all appeared for the first time whilst Eve Hull, Anna Kirk, Meghan Mulhern, Ellie O’Keeffe, and Elizabeth Perry all made their debuts on the women’s team. 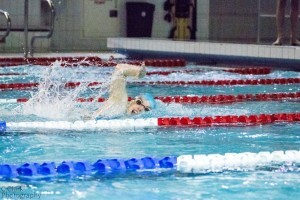 The first half of the event consisted of the individual events – 100m of each of the four strokes and 100m individual medley were contested. 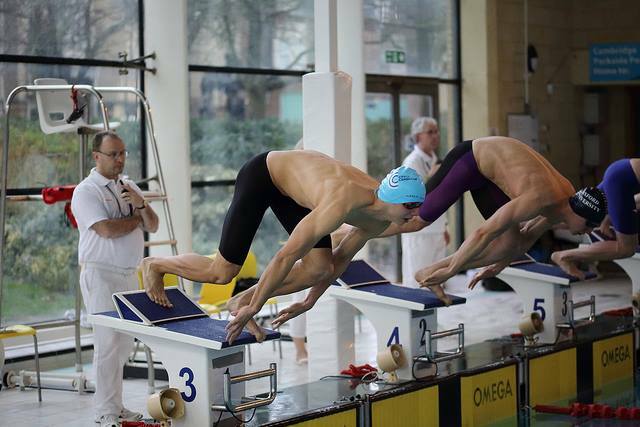 Some impressive victories, particularly by Bonsell, Cannon and Kirk in the Men’s 100m freestyle, 100m butterfly, and Ladies’ 100m backstroke respectively, saw both Cambridge teams at the top of the leaderboard at halfway. However, having won the Ladies’ 100m individual medley and the Men’s 100m backstroke, UCL were close behind just 5 points down. The events in the second half were the relays. 4 x 50m relays of each stroke for each gender were raced, and then mixed gender 8 x 50m medley and 8 x 50m freestyle relays concluded the competition. 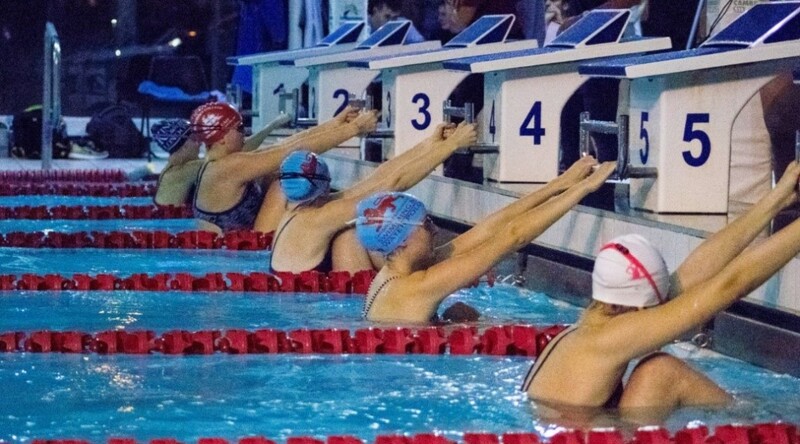 Following on from the strong individual events, Cambridge’s swimmers continued to ooze speed and class as they extended their leads at the top of the points table, winning every relay and getting a 1-2 finish in six out of the ten relays. 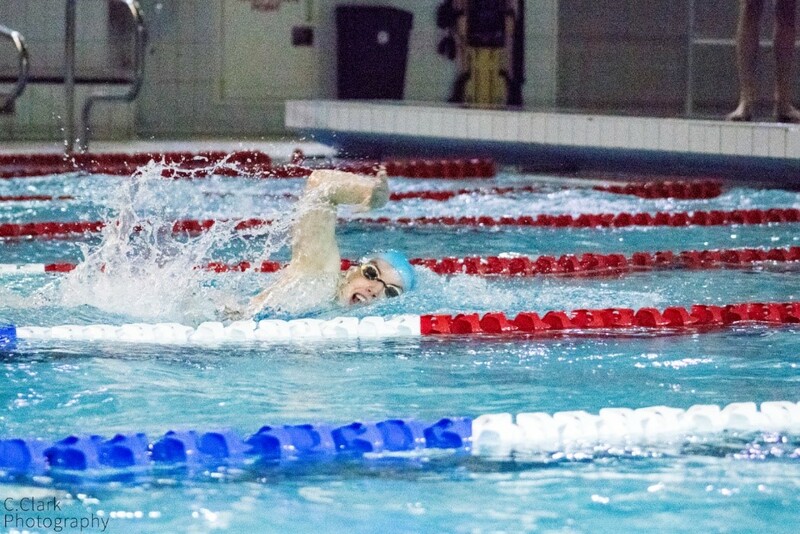 The highlight of the second half was no doubt the Cambridge breaststrokers squaring off against each other, as Daniel Toy pipped a tiring Finn Harman in the first leg of the breaststroke relay. Thank you to everyone who came to make this memorable event happen, and well done to our winners Team Cambridge! Following their strong varsity win, the second team were looking for an emphatic ending to the end of the season. A 19-5 victory at home against a hapless UEA side put them in good stead for a showdown with Oxf*rd Brookes, who had won the reverse fixture 14-10, in one of the final BUCS fixtures of the year. This time round Brookes were the ones with threadbare squad, having only brought 8 players along. Things began with a flurry of goals, Cambridge taking an early 2-0 lead, but Brookes hitting back immediately, scoring twice to stay within touching distance. As the quarter advanced we began to see the advantage of having a full squad, as Brookes started to tire – pit player Balint Szepfalvi scoring a couple of cool finishes to take the score up to 5-2. The second quarter carried on much as before, with the Light Blues continuing to put the visitors under pressure. However, some complacency and a lack of sharpness in attack saw multiple occasions go to waste. Passes not going to hand, slow awareness and some easy turnovers meant that Cambridge failed to press home their advantage. Still, a trickle of goals kept coming and at half time Cambridge led Brookes by 7-3. Some sharp words and a mental reset saw Cambridge swim off for the third quarter with renewed motivation. Three more goals from Balint, along with more inspired play from captain Vytautas, saw the seconds extend their lead. 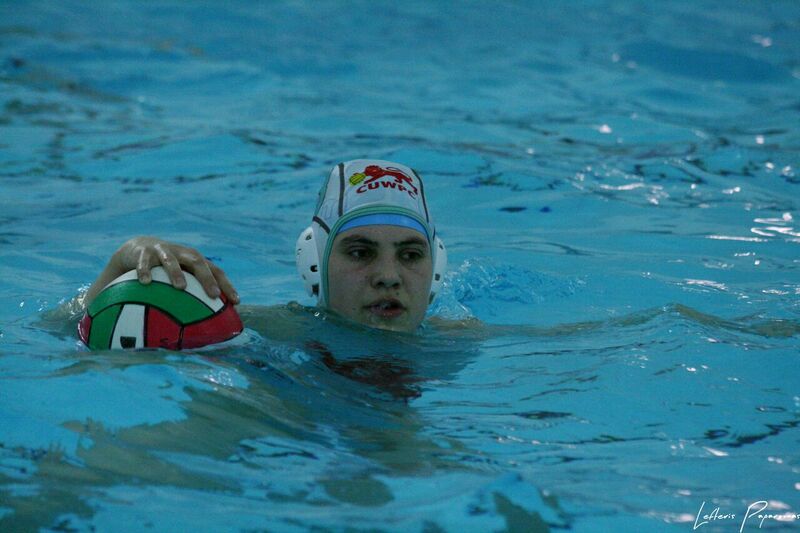 Swimmer convert Dimitris Kousoulidis began to make more use of his absurd pace, helping to set up more and more counter-attacks as Brookes tired, and Santiago “Jesus” Lago chipped in another goal, having already got one in each of the previous quarters. The final minute of the third period saw what was possibly the highlight of the entire Light Blue sporting season. With Brookes a man down, an unmarked Leonardo Buizza received the ball on the right wing (ish). There was no defender in sight (due to another lapse in the Brookes defence), leaving only a whimpering keeper standing in the way of a glorious goal. A magnificent averagely-paced shot, straight into (not quite) the bottom-right hand corner saw the ball deflect off the ‘keeper into the goal – Buizza’s first of the season. The entire crowd of two people erupted in celebration, knowing what a momentous occasion this was. The quarter ended 13-3. The fourth quarter saw the floodgates well and truly open. Having been set a target of twenty goals by captain Vy, the heroic seconds rose to the occasion. A huge ten unanswered goals flew into the Brookes net, with everyone keen to get involved in the goal rush. Of particular note was afore-mentioned Santi. Conscious that Brookes were now clearly flatlining in energy levels, Santi decided that his quarter would be spent no further than 5 metres from the Brookes goal. A gamble, some might say, but this is a man who knows when the reward outweighs the risk – six goals for this poacher (I dislike the term “goal-hanger”), taking his haul to nine for the game. More contributions from the rest of this magnificent team saw them end the game 23-3 – emphatic. After a largely disappointing year in BUCS for the men’s water polo first team, the men undertook a training regime that would make Phelps shake in his boots. Co-captains Rob Gourley and Joseph Wu were determined to turn around personal scores from the Varsity match in 2016. A long day in Parkside Pool saw the team witness wins for both the men’s second team and the women’s team. The pressure was on to complete a trio of wins for the light blue. Pre-match rituals were in full force as Isaac Hinchcliffe saw off his third monster of the afternoon and Alex Norcliffe allowed the can of Strongbow to digest before the warm up. As a largely new team, the pressures of the deafening crowd in a first Varsity could have halted our prowess. However after some galvanising words from the co-captains, the game began under the floodlights in the light blue’s favour with an almost immediate impact with a goal from Rob Gourley after some excellent work from star fresher Ben Tinkler-Davies. A cagey first quarter went goal for goal ending 3-2 in favour of Cambridge. The second quarter was a period of consolidation for the light blues with more goals from Ben TD and Rob Gourley, supported by our very own brick wall in net, Brian Trippe. Forcing ejections for the O*ford team was a key part of the game plan masterminded by veteran coach Andy Knight, who kept heads concentrated throughout the game. Patrick Charles and Adam Streeter bullied the O*ford defence into submission with brute strength and dashing looks. The second quarter ended 6-3 to Cambridge. The light blues began to sense that this game was for the taking, like a predator devouring its prey the team began to turn the screw. 7-4, 8-4, 9-4, 10-4. Highlight coming with Ben TD scoring from his own half after a blunder from the O*ford keeper. The game was over then and there, thanks for coming O*xford, see you next year. Home support got a quick scare going through the fourth quarter when O*ford had a ‘comeback’, to 10-7 to the light blues, and hearts began to stutter. No bother, step up Adam Streeter with a crucial goal to make it 11-7 and fully close the game off. Final score: 11-8 to Cambridge, completing the full set of water polo Varsity victories. Man of the match was amicably shared between co-captain Rob Gourley and Ben Tinkler-Davies who shared the first 10 goals between them with 5 each. Honourable mention goes to Brian Trippe who was unbelievable in net absolutely shutting down the shooting game of O*ford. Thanks to all those who came to support the team. 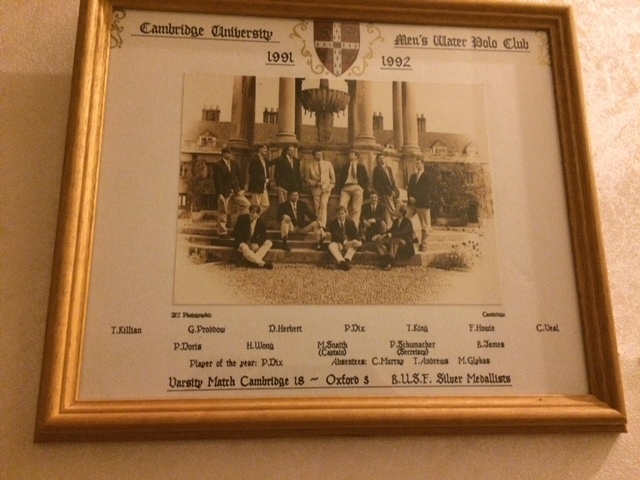 Cambridge versus Oxford, a grudge match, the big one. Squads selected from hordes of budding athletes all looking for varsity glory. On the other hand Cambridge versus Oxford Brookes simply doesn’t pull in the fans. 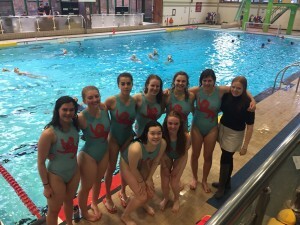 The Cambridge Water Polo Second team fielded a diminished squad due to clashes and illness taking away several key players, including the team’s regular goalie. 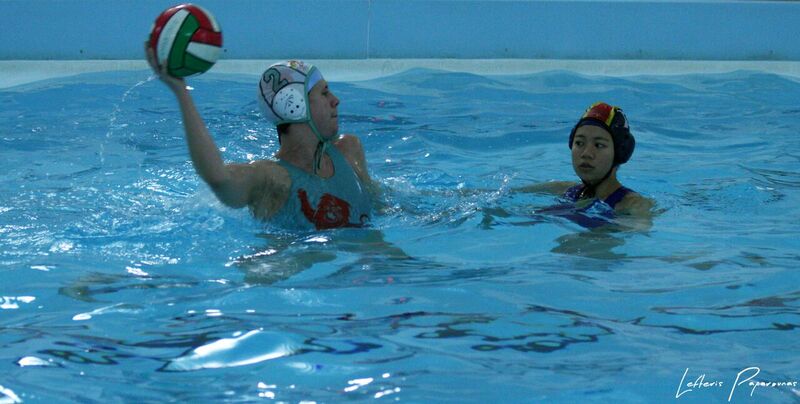 Nine made the trip to Radley including a Swimmer, Dan Toy making his debut for the water polo team, keen to still win the game that at full strength they would have had on paper. After making their way through the extensive labyrinth of boarding houses the team found the peculiar L-shaped pool and got ready for the game. It started off with a quick goal from the Oxford Brookes within the first 30 seconds. This took the Cambridge team by surprise but shaking off their cobwebs and through some solid team play Cameron Wallis scored an equaliser 31 seconds later. The rest of the first quarter was back and forth but for much of it Cambridge seemed to have the upper hand. Two more goals came from Captain Vytautas Pečiukėnas and Alessio Caciagli with the quarter finishing 3-3. In the second quarter Cambridge built on their lead with fast paced play led by James Mok. Incessantly swimming up and down the pool he scored 3 goals. One of these assisted by Dan Toy who made a commendable steal and put his swimming to use leaving the Oxford Brookes defender languishing in his trail. Unfortunately, the step-in keeper Rhys Goodall showed his inexperience and let in two easy goals from 5-meters, not noticing that the opposition were far enough out to shoot from fouls on the arc. With a second goal from the Cambridge Captain thrown into the mix the Second Quarter finished 7-6. Cambridge were in the lead but not comfortably so. The Third Quarter was a closer affair, both teams wrestling and sprinting trying to create opportunities but no goals came in the first 4 minutes. As the Cambridge team began to tire they called a rolling substitution. In a moment of madness, the substitutes leapt from the side into the pool only to be excluded seconds later. Oxford Brookes called a time out and Cambridge had to defend with two men down. Setting up on the posts and pushing the top of the arc the team worked really well blocking and pressuring the opposition who in the dying seconds of the man-up took a desperate shot at goal that was blocked by the keeper. Despite this excellent defence the fortunes of the Cambridge team began to turn. There fast paced play in the earlier quarters started to take effect and the team let some counters get past them and with two of their goals being disallowed due to questionable interpretation of the 2-meter rule Oxford Brookes took the lead. The third quarter finished 9-10. Cambridge could see they needed something to take back the lead. Leonardo Buizza swapped in to play keeper and the team hoped that a slightly fresher pair of legs might help turn the tide. More targeted play from the Cambridge team drew fouls and several kick-outs but the team were unable to convert these opportunities. Oxford Brookes kept up the pressure and managed to reach the back of the net four times to Cambridge’s one. The Final score was 10-14. The team’s performance showed great promise but due to a lack of subs their fitness was tested towards the end. The Man of the Match was James Mok whose repeated counter attacks netted him 6 of Cambridge’s 10 (should have been 12) Goals. As the deadline approached, the women’s blues water polo team had one game left to play, their 8th in the league since the start of term. But this was to be no ordinary match: with a 1:15pm start, all the refs had actual jobs to do. Though Irwin now has the most comprehensive list of refs in the East of England, none of them were free and the match was going to be cancelled. So at 8am we prepared to go to our scheduled lectures. Until Bath, in a stroke of kindness, asked to play regardless, saving us from a forfeit. Thus, with just under an hours notice, we gathered our equipment and rushed to our cars, ready to make the two hour journey to our home match (a constant source of agony). We managed to draft in a last minute ref, who has our eternal gratitude. We arrived at the pool with ten minutes to spare, and cried out “let’s win this for Ella – so she doesn’t have to arrange another match!” As she set up the clock, we got ready to go, but the first quarter saw not a single successful goal. We cut and defended with a frenzy, but our attacks remained tentative. However, that quarter did give Captain Schubert a chance to warm up. Irwin hopped in the pool, leaving Robbo to table. And then the goals started coming, from Schubert, and Schubert, and Schubert again. Though at one point we were a terrifying 4-2 down, after words of encouragement the team turned it around, showing strong defence and a more aggressive attack. The whole team got together, making beautiful passes into pit, and we got to half time with a 5-4 lead, all five goals put into place by Captain Schubert. Despite some clock mix-ups, we got into the third quarter, ready to show bath that they would not be getting any more goals away. And indeed that second quarter had proved to be their only lucky one. Turrell got back on defence, and Robinson had a lovely block, helping Morgan keep the ball out of the goal. And in attack, Schubert added another two to her impressive list of goals. With a 7-4 lead we went into the fourth quarter, and even had two full subs, as the Birmingham’s men team offered to help table. Quick newbie, Mackett scored two goals off a cheeky pass, even winning a tussle against the goalie. Though the bath team got one goal away, Feng’s whistled a shot in, and Schubert scored another to seal the score at 11-5 in favour of Cambridge at the final whistle. After all the stress, the team is straight off to semi-finals, having placed second in the premier south league. Bolstered by the return of our beloved Santi, and restless after the same fixture was cancelled the week before, the Cambridge team travelled the hour long drive to our home pool (no I will not stop complaining about that) anticipating – at long last- a solid win. UEA should be trounced, if we hope to defeat Oxford Brookes and retain dignity in the league. But, upon arriving in Northampton, no opposition were to be found. Being the dedicated water polo team that we are, we proceeded to use our pool time for a training session until, an hour in, a meek UAE team had the cheek to arrive. Tired but undeterred, but we agreed to play. 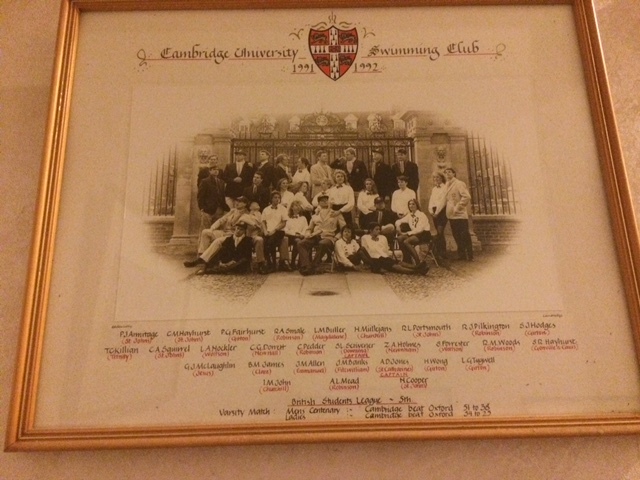 The first quarter showed a staggering difference in class as the Cambridge men outswam their opponents scoring 4 goals in quick succession, Vytautas showed his metal as captain scoring two trademark goals from 5 metres and still managing to take care of the opposition’s pit player when in defence. One of the refs decided he didn’t like the look of Rhys, leading to a couple of early sending outs, but UEA failed to capitalise on their man ups so we retained a clean sheet after the seven minutes were up. A different team entered the second quarter as fatigue took its toll on the Cambridge side. Man of the match, Chadwick, repeatedly made valiant efforts to find space and produce plays, as the team faltered behind him. A number of careless mistakes soon led to goals for the opposition, who came back to 4-3 by half time. A change of attitude was needed as the team were becoming visibly frustrated. We were tired, yes, but we had to dig in. We clawed our way back, taking advantage of the opponent’s weak players as their lack of subs tired them out. A clumsy tap in from yours truly with a minute to go left the score back at a respectable 7-4 (whether or not I was within two metres was apparently not an issue for our refs). The final quarter proved to be seven minutes too much for our keeper James. A last push by the opposition (including a last second goal) pushed us to the limit, but we narrowly retained the lead for a final score of 8-7. It was not the result we’d hoped for, so it would be easy to walk away disappointed, but consideration has to be given to the circumstances. As we calmed on the drive home, the relief and satisfaction of a match won slowly sunk in. Final mentions go to Dimitris, showing the occasional use of swimmers by winning the ball at the start of every quarter, and relative newbie Cameron, for lodging a respectable 2 goals on the score sheet. After ruling in our actually-home match on Friday, we were a bit shocked at the lack of chlorine in Barnet’s pool, so it took us a while to get in the game. The Imperial team took advantage of this odd situation and that’s the only reason why they could score two goals, leading for 2-1 at the end of the first quarter, despite Turrel’s nice shot. After that quarter though, we started performing quite well – cutting and putting into practice what we learnt in the tactics sessions. We definitely woke up in the second half of the second quarter, when Turrel and Schubert scored one goal each to maintain the 1-goal difference. 4-3 was the score at the half time whistle. The third quarter was full of action and heart attacks for our girls due to Benezit’s incredible savings. Our efforts in defence and the best dropping of our career worked in our favour as we managed to steal ball after ball from the other team. Time goes faster when you have fun, so we also used all the 30 seconds available for our actions, though some of them, unfortunately, did not end in a goal. However, the amazing teamwork ensured our ladies concluded the quarter with a 5-5 draw, thanks to our new entry Hulshof and our veteran Feng’s goals. The emotions kept on in the last quarter, when we tried our best to boost the score despite the cloud of misfortune above our heads. Although the Imperial teams managed to violate our goal twice, we closed the game with Irwin’s memorable action that will be passed down to the next generations for years and years: promptly stealing the ball in defense, she dribbled past all the Imperial players and, finally, slammed the ball into the goal like the good old Maradona, earning her a well deserved player of the match. The final score was a 7-6 not in our favor, but we definitely played our best against a tough team and we all showed improvements, singularly and as a team. For their rematch against Birmingham in three days, the Women’s Blues found themselves in the unusual position of hosting a match in Cambridge itself. Lacking a suitable pool, the team is used to accommodating hours of driving to reach even nominally ‘home’ matches. It was therefore a welcome change to attend classes and other commitments, have a square meal, and meet early for a thorough tactics session and warmup. Physically and mentally ready to repeat their recent victory against the visitors, the team lined up for the starting whistle happy to be home. Detracting from this advantage, the team was forced to contend with challenging playing conditions in a narrow, asymmetrical and inadequately-ventilated pool. While the team’s dedicated training had instilled some tolerance of the facility’s choking chloramine mist, both home and visiting players soon succumbed to the infamous ‘Leys’ cough’. 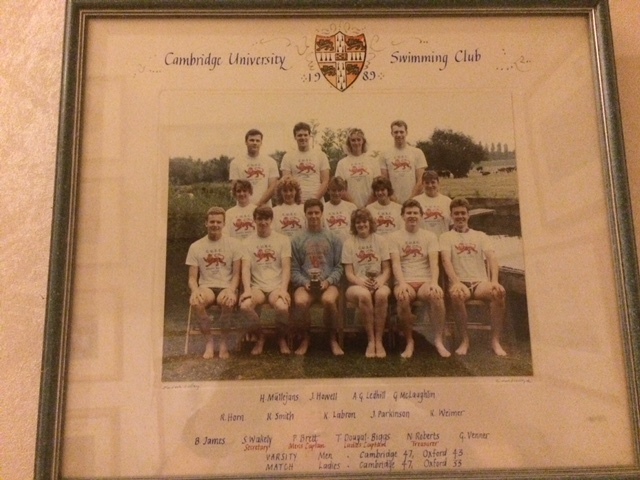 We can only hope that Cambridge will one day come to its senses and build its athletes a regulation pool, or else have the medical faculty advise us on poolside treatment strategies for acute inhalation injury. The Cambridge team had done their utmost to prepare for these difficulties, and played confidently and cohesively from the starting whistle. Overpowering Birmingham on the right wing, Sarah Flaherty and Claudia Feng scored early goals in rapid succession. Cambridge held this lead with an energetic defensive effort by the whole team, leaving Birmingham with few opportunities to shoot. The team’s coordination was disrupted as they moved to attack the shallow end for the second quarter. The women were outpaced by Birmingham’s quick turnovers and, despite impressive goalkeeping by Blandine Bénézit, conceded two goals early in the quarter. Encouraged by captain Laura Schubert, the team responded with sustained effort and communication, and progressed to the next quarter with the score tied. The team returned to play with renewed determination, bolstered by an immediate goal by formidable newcomer Lilly-Anne Hulshof. Returning to the stronger team dynamics of the first quarter, Cambridge pulled further ahead with goals from Flaherty and Kate Read. Despite a last-minute goal from Birmingham, the team finished the quarter with a restored 5:3 lead. Cambridge carried this momentum forward into an intense final quarter. Bold long-distance shots from Birmingham tied the score within the first few minutes, but the team had plenty left in the tank to dominate the remainder of the game, with a goal from Frances Turrell and two more from Hulshof, our overwhelmingly nominated player of the match. With this comfortable lead, the team focused on keeping play controlled, but Ella Irwin saw an opportunity that was too good to pass up, scoring from the two-meter line with fourteen seconds left on the clock, and bringing the final score to a commanding 9:5. 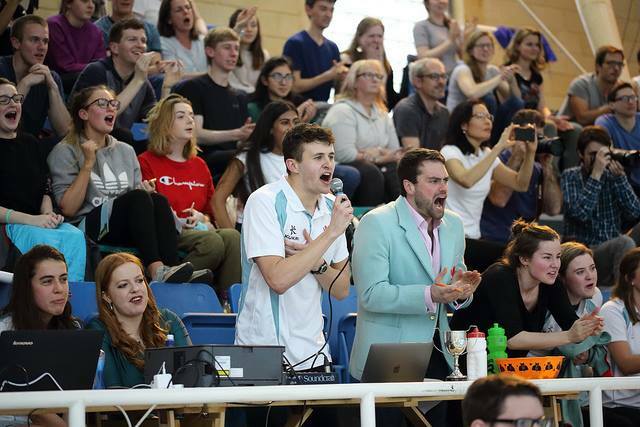 The Blues leave this match with a definitive win and useful lessons to guide them to victory for the remainder of the BUCS season, and in the hotly anticipated Varsity match to be hosted in Cambridge later this month.